We are waiting for you for a giant anchoïade on the port at noon. A convivial moment where it is good to meet to taste the Provençal specialties accompanied by a glass of rosé and toast on this last day of the year ! 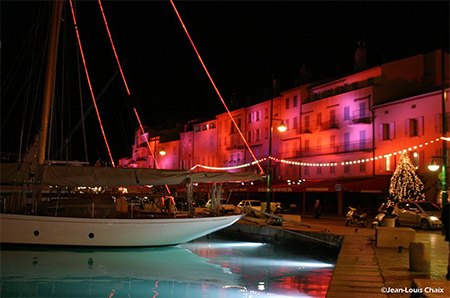 A magnificient spectacle full of lights in the sky of Saint-Tropez. 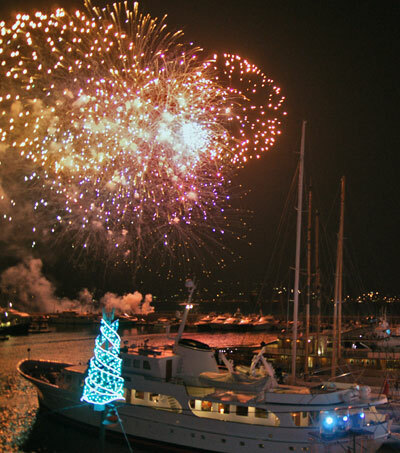 This is a sparkling moment that will end the year of 2017 and will open 2018 for everyone's pleasure : Tropézians, visitors and Saint-Tropez lovers are invited on december 31th at midnight on the Môle Jean-Réveille to admire the amazing instant of a unique firework.